There is an old saying that almost everything comes in pairs. As some of us have seen the magnificent solar eclipse last month (read about it here), it is time to see the Total Lunar Eclipse. This is the first time in a very long time that a Total Solar and Total Lunar eclipse magnifies our solar system in a matter of three weeks. This kind of phenomena will not occur again in the next five to six years. It is a beautiful lunar eclipse and it is also a blood moon occurring a day before Easter. But we know that a full moon always brings natural endings in our lives and gives us the opportunity to have a rebirth; similar to the story of Easter. On April 04, 2015, a day before Easter, the total lunar eclipse will be seen in all of the Americas, parts of Asia, and Australia. This time the eclipse will be visible for all those on the east cost of U.S in the morning and South Asia in the evening as the eclipse will last 3 hours and the totality of the moon’s coverage will be about 5 to 7 minutes. Unfortunately, Europe will not be able to view this eclipse; if they do it will be very little. The total solar eclipse was a European eclipse with the visibility completely in Europe. Unlike the Solar eclipse last month where the moon covered the sun (read about it here), this time all three planets: Sun, Moon and Earth will form a straight line and the moon will be full. The lunar eclipse will begin its motion eastward with a penumbral eclipse at 5:03am EST (this is when the planets begin to align). Then it will continue to move in an exact straight line at 8:00am EST and the moon will be totally full at 8:05 am EST. The uniqueness of this moon is that it is a part of the series of blood moons. Some religious scholars seem to believe that it is prophesy and it is referred to as terad. This unique occurrence happens when there are four total lunar eclipses within a 6 month period of time without a partial eclipse in between. 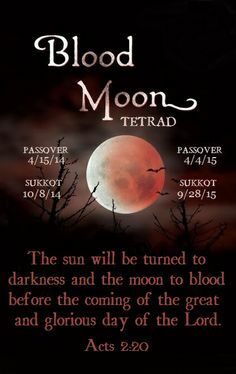 The four blood moons are/were April 15 2014, October 08, 2014, April 04, 2015 and September 28, 2015. 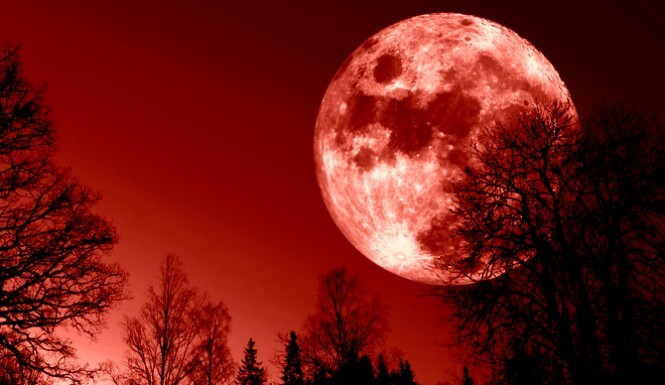 Other scholars in the religious sector believe that it represent a fulfillment of a certain prophecy in a biblical sense because of the moon turning red. The blood moon may represent good, or an omen, in the bible when the lord is supposed arrive and the moon is dark and bloody. Hindu cultures always believe the lunar eclipse is auspicious while the solar is not. Many Hindu practitioners bathe in the sacred rivers such as Ghangi River, however, many who cannot make it there bathe in a Spiritual Bath. They also fast and do one million Japa to attain blessings from Gods, where as those who want to cure a weakness should do an appropriate mantra to bring relief. Before the blood moon was introduced, those in the southern and northern hemisphere calculated their seasons by the shape and color of the moon. Those in the Southern Hemisphere call the moon in April a Blood moon, Hunters moon, or Harvest moon, again because of the color. Whereas, the shadow of the moon is different in the northern hemisphere and they name the full moon in April a Grass moon, pink moon, or Egg Moon. This Lunar Eclipse, Red full moon in Libra will guide people with cardinal signs (Libra, Aries, Capricorn and Cancer); to understand how they will be able to balance their worldview and their emotions. Frustrated and unwilling to identify that something or someone is not what it or they seem to be and it is not as solid as they once had presumed. It is frequently said that to recognize what we will feel during the eclipse, especially the ones that are geared to transform Libra & all Cardinal signs and those that have cardinal sign in their chart, we must think back at how life was about 19 to 20 years ago. We have reached the point where the exact degree the lunar eclipse equals that which occurred on April 03, 1996. At that time it was also at 14 degrees and it was an Aries/Libra eclipse. 14 degrees moon in Aries/ Libra will not return at the exact degree in the near future. Though it will come close at 13 degrees in Libra in 2021, I feel that many of us will have a completely different prospective of life by then. This eclipse and moon is a series of eclipses in Aries/Libra beginning in April 2014 and ending for a little while in 2016 when Libra eclipses go back to earlier degrees. Since the eclipse is corresponding with the placement of the moon (in a straight line) we must also align the energy between principles and consideration. Contingent upon what ones world view is in the western culture, eclipses always carry with them disorder and occasionally this pandemonium can be problematic but does not have to be ruthless. We must preserve in our consciousness the lunar eclipse (in the dark) and anywhere the lunar eclipse falls in a specific chart it disturbs the contrasting houses. Therefore, I would not be surprised that fire signs would be affected by this eclipse as well. In ordinary terms, it will be the lesser area which will affect the crisis the most. The full moon in Libra brings emphasis to relationships, stability, and objectivity. But naturally, full moon represents finales and new openings. The eclipse and the moon will be interrogating how relationships are cherished as well as what kind of people are being attracted to one another. Also questioned will be sacrifices and finding a way to meet each other half way. Additionally, it is about self-accountability and your position in the relationship. Libra stands for the weighing scale and peace whereas Aries stands for stubbornness and how we stand and relate towards others. Thus energy will cause us volatility, distress, and hindrances. The energy will force us to throw away the old and bring a new dimension of relationships that was never touched on before. However, change can be very difficult for people, especially cardinal signs (primarily Libra) who like consistency in their relationships. 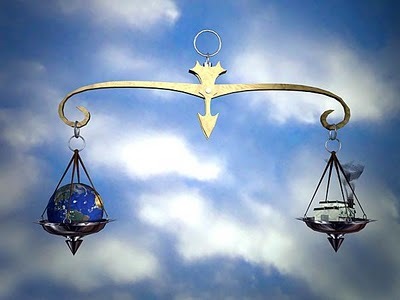 Libra energy motivates stability as Aries controls us with vitality to build a healthier future for us. Saturn moved into Sagittarius in December 2014 and it will remain there until June 2015 (read about it here). Saturn seeks to teach lessons and Sagittarius demands truth. Therefore, what lessons have been learned from knowing the truth? Has it been hidden from us? Do not worry, everything that is hidden will come to light this summer when Saturn makes its last swing in Scorpio beginning in June until August 2015 (read about it here). But eclipse energy causes many to go deep into our self-consciousness, this time, questioning how and who we attract, why we do that, and what do we need to learn so that we only bring quality people into our lives? As the new moon brings new beginnings, the full moon questions what needs to leave in order to feel at peace. This is the synthesis of the new moon and solar eclipse in March 2015 (read about it here). Was the new beginning profound, inspired, or was it so hasty and risky that it became obliged to happen? The reason does not matter as long as we know that we have to make changes in areas of relationships. One of the positive aspects is that Jupiter will go direct in Leo sometime this month. I would suggest that Leo’s and all those who have Leo planets enjoy this. Only because Jupiter will move into the workaholic Virgo, which means Virgo, either your love life will soar or your money will soar. I advise you however, not to take risks with your money because some Virgos love to gamble money. This beautiful event will also last for you for 2 years so enjoy it as Leo does. However, don’t be surprised that every now and then that the universe questions how you are appreciating things. 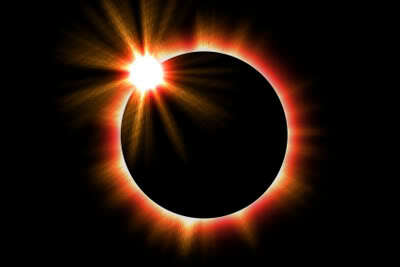 Each eclipse brings new things into our world and assists us into reconsideration of many things in our lives. For Libras this transit poked you every time that there was an eclipse. The eclipse on April 15, 2014 questioned your transformation (read about it here ), October 08, 2014 questioned how fair you are and what you are changing of yourself (read about it here), and this eclipse will question your balance in life and what you believe that needs your attention and assertion. Finally, however, the last eclipse in March 2016 will have you sitting pretty on a beautiful tree with flowers. 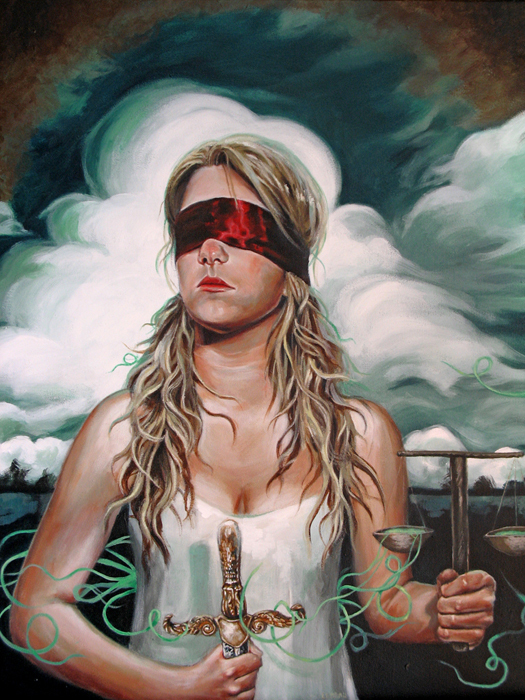 Mutable signs (Gemini, Sagittarius, Pisces and Virgo) or those who have mutable signs in their charts will be preoccupied to do things that obstruct with their open gratification or pursuing after their yearnings while deteriorating their aptitudes and abilities trying to balance a conflict between their hunger and their craving. The full moon brings with it assorted choices. Some may find balance between dominance and coherence. However, there may be some tension between our private spaces to be alone and feeling so alone that we find anyone that fills the void. This could leave one with a real bad taste at the end of the day. Therefore it is suggested that you do not make any decisions in regard to relationship issues until the energy of the moon has passed the orb. This is 5-6 days before and after the full moon. 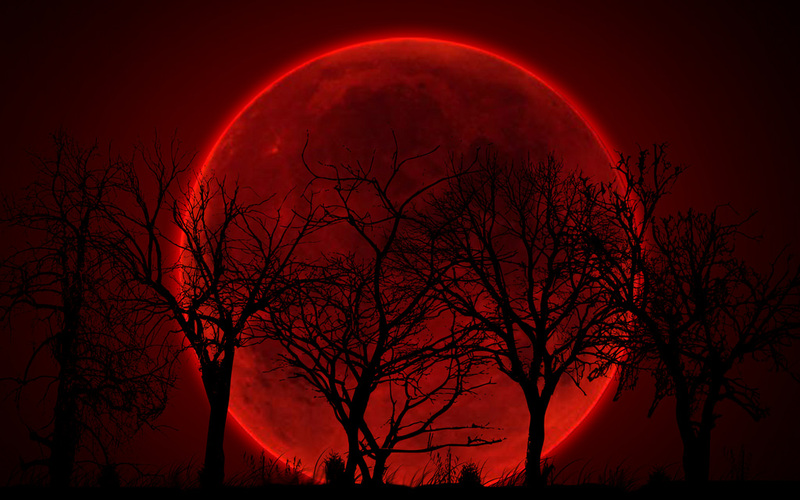 Bleeding and blood loss are more likely during a Full Moon, so take care. This is the time to Gather, Pray and be Thankful, and to work on fruitfulness and accomplishment. Love and Romance go feral under a Full Moon, especially around midnight. 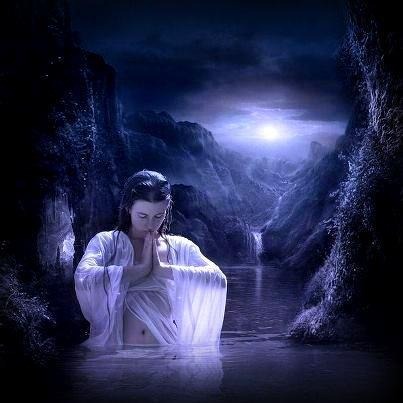 In a full moon there is high detachment, clear mindedness and an awareness of your own needs and the needs of others. Listen to your inner voice and seek a balance that is important, but not about power and control. There are no winners or losers in a relationship, there are only learned individuals. This beautiful pink/red moon brings us grace and love but it could also bring finales to poisonous relationships. Libra Moon values sweet relationships. It acts in a way to make sure that one is loved and that love is kept. It’s a need to please the people you feel close to and wanting to be fostered with compassion, amiability, and with music and beautiful things. Libra Moon needs close friendship, partnership, or marriage to feel supported and safe. You may have need for harmony, congruence. and enjoyable atmospheres. In emotional situations, the Libra Moon tends to act very sensibly and attempts to make reasonable choices. Detesting differences, one may even tact their way out of hostility. People will have strong kindness towards, and attraction for, others. This comes from the Librain search for synchronization and equilibrium, for the Libra environment emphasizes collaboration. It’s a good time to form partnerships of all natures—friendships, marriages, and business. This eclipse dynamism is so strong that many people will feel this pull as early as the 25th of March all the way until the 3rd or 4th of April while others may already be feeling it. Therefore, bring various peacekeeping into your relationships. Find a way to be autonomous yet sympathetic. However, there may be some heaviness between our period alone to introspect and others’ time wanting to be with us. Take your time and if others disrespect you for that, then this is the promoter to see if the relationship is substantial enough to contain respect and integrity. But at the same time, making decisions to end a relationship, or harsh actions, will not be the way to go unless this is clearly the best decision. If it is, it will NEVER come back at the same kindness it was when it began because the eclipse gives much energy and edge to never go back again. 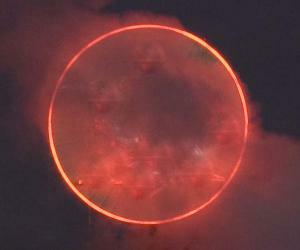 Eclipse and full moon together is natural for grand finales. When a lunar eclipse occurs, the earth is transient between the Sun and the Moon, producing a Full Moon as we see every month – but in this case, the alignment is perfect – the acculturation of the Moon absolute. The greatness of the Full Moon is splendid, yet she is totally covered for about an hour by the earth’s shadow. You might even see a red, pink or possibly maroon moon. The Sun and Moon are subjugating opposite Astrological signs, therefore emphasizing the particular polarity inherent in those signs. During the period of acculturation, the Moon’s helpful light is momentarily lost and we may experience a crisis of need. 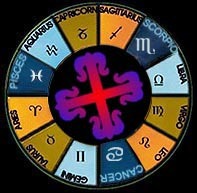 The particular sort of lack depends universally upon the astrological sign in which the eclipse occurs, and personally upon the natal astrological house (realm of influence), as well as the major aspects made to natal planets. This eclipse is largely relationship oriented – and our relations with others can be detached, defied, or unexpectedly welded together as the surprise calls one to exploit. This eclipse centers on the family and personal relations. We may be intensely deliberative about our spirits and desires within the perspective of the house, sign, and planetary aspects affected. To fully appreciate the potential in the lunar eclipse, we must explore both houses and signs that are brought into play. There is a necessity to firmly communicate feelings. People are hasty to arrive at a coherent explanation for any emotional problem and will jump right in to offer a supportive belief. The feelings may switch on and off. There are various aspects of a situation, and we may need to bend and adjust to others. This could make people appear fickle or two-sided, but it is really the sign of an open mind. The need is to nurture others by staying in friendly communication. There is also a need to relate to your mother as a friend and keep in regular contact. Poonam (full moon), is typically relationship linked, therefore people who are born on a full moon, and it does not matter what sign you are, will experience a higher influence than anyone else. 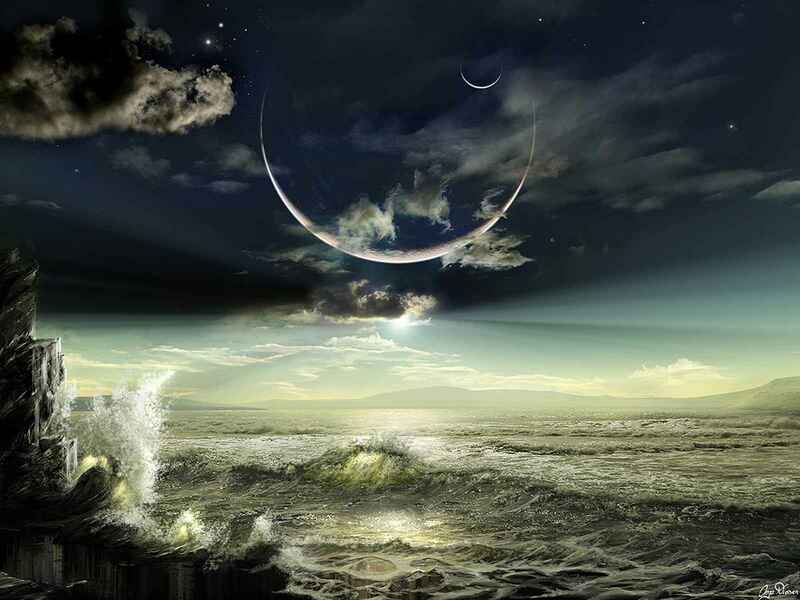 Often, when coordinating with eclipses, it brings out inhibited emotions which are usually triggered by the energy. Cardinal signs are indeed subtle to their ambiances. However, no matter what sign one is born under, this is something that has been developing for so long that it could go both ways – either you finally express to someone how you truly feel, start a romance of a lifetime, or impulsively break up over a dispute which comes from nowhere, getting out because of things that were never discussed. Therefore, 5 days before (March 30, 2015) and 5 days after (April 9 2015) the eclipse is as critical as the day of the full moon. Thus, if there is nothing nice to say then don’t say it at all. Otherwise, like the old saying goes, “you can never take back your words and confessions can bring forgiveness but never forgetfulness”. Vedic readings have always integrated astrology, insight, deed, and response as an interweaving method to transparency. By all means, what I am about to give to you is not an impeccable science nor should be it considered as such. This generality is at face value, where the eclipse and the full moon bring forth changes, but to have your own individual reading I would really recommend that you speak to an astrologer and see what it holds for you. I am not an astrologer nor claim to be – I don’t have the methodical view to pursue it; this material is a mere overview as a safeguard so that this change befits as humble and shifts to what is possible. 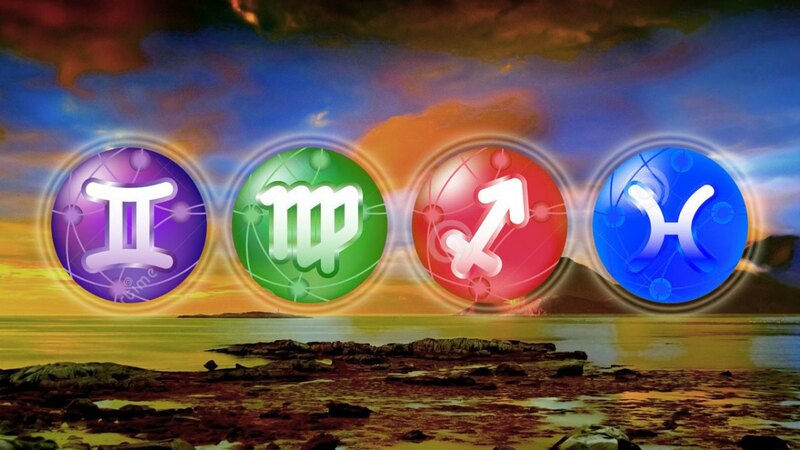 Remember to truly examine where these astrological signs place in your chart before exploiting or diminishing what could transpire. What is given to you is cautionary and preparatory to evade confusion and bring peace during this difficult transit. Since the Solar eclipse brings something new (read about it here) and the lunar eclipse ends something to make space for something new, the general tendencies are the overall prospective of both energies combined in areas of a Vedic view. Libra: The last eclipse focused in on areas of your health and work with the greatest emphasis on success and restructuring of your career. The lunar eclipse is now allowing you the energy to mold yourself into who you really want to be. One by one your work replicates who you are, your demeanor replicates how you will work. Your success and materialism will bring you the transformation you need. However, it requires for you to give your work and yourself 110% of your attention. Put everything aside because by the time next year comes around your visions will not be the same. You may want to move or you may want to change your decor to fit your vision. You may even want to change your clothing, hair, and the way you look to perfect what you want to be for many years to come. Remember, in 2016 you will have your last transformation and you will have at least the next 4 to 5 years to enjoy who you are, where it is that you are going, what it is you want to be doing, and when it is that you want to do it. The key concepts that will be valued and looked upon until March 2016 will be: health, energy, progress, personality, dignity, health, food, service, and debts. Be very careful with your forehead and diseases which will be curable. Capricorn: Your reputation and hard work is at the forefront for this eclipse. 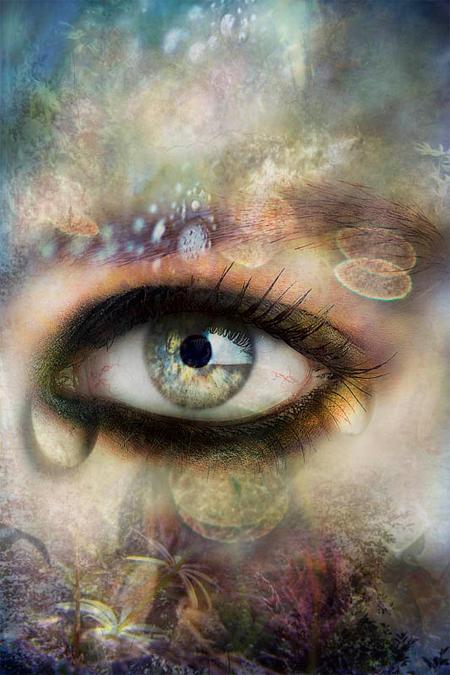 You will be shown, now until 2016, where your career is headed with complete clarity. Your visions and work will play an import part of your own vision and you will no longer be going down paths that are not clear to you. This is especially true when taking risks with your time and money as these will initiate a major transformation in your life. The key concept for both your life and vision for now until the next eclipse is: recognition, completing tasks, success, respect, fame, promotion, financial advancement, communication, contracts, and relocation. Please be careful with fatigue and things that cause you stress. These can cause pain to your shoulders and collar bone, but most of all, you may come down with a cold due to stress. Aries: This eclipse may hit home for many and it will touch your heart like no other. It completely focuses on your relationships, waking up to reality, and looking at other people in your life which need to be considered. It is vital to understand that your needs are as equally important as your partners and your co-workers. Perhaps you will get married or meet someone new, but spiritual change is definitely coming. The focus for the next 6 months, or at least until Sept 27, is success, reputation, loss or gain of a relationship, thoughts of other people’s feelings, legal issues, limitations, the waste of money and time, and discrete or hidden pain. Be careful with injuries to eyes, they may get a little dry after emotional outbursts of sadness. Cancer: Are you finally settling down, getting your finances, home, and work in position? You are ready to build a home where you will feel contentment. You will now be able to see with clear glasses where your limits lay. Relax, not much will bother you now until 2018, unless of course Uranus/Pluto pokes at you and if it does you will hide in your shell. For at least the next 6 months your key focus will be on farms, building, homes, school, learning, teaching, visions, and travel. During this time you will be very busy building your life. Sometimes you can be reckless be careful with your knees and doing too much walking. Mutable signs (Pisces, Virgo, Sagittarius, and Gemini), you are constantly changing and this year is a very important year for all mutable signs. Gemini’s may be the only mutable sign that won’t be as intensely affected by these eclipses this year. But trust me, they will get their whiff of mercury retrograde. Because we just passed a Pisces eclipse, and we are going to go into Virgo eclipses in September, the discussion will be focused on Pisces first. Pisces: It must be nice to be the center of all this attention. The March 20, 2015 eclipse had your name written all over it (read about it here). The universe is blessing you to rediscover yourself in the next 6 to 8 months, questioning where you are and where you are going. You may have had a death in the family or someone got sick. All the responsibilities on your shoulders may make you want to run away or just want a change for the better. But this eclipse is asking you to de-clutter, from material things to people. You are now ready to get your hands dirty and focus on truth and spirit with what you have changed. The key focus for the next 6 months will be, pension, other people’s money, carelessness, fire, strife, honor, well-being, longevity, and worries. Please be very cautious in your time of worries and hurry, you might have a minor accident or you may hear about someone passing. Gemini: You are now wiping your forehead aren’t you? Yes, you went through your own solar eclipse and lunar eclipse issues in 2009 to 2010 and yes, most of it is behind you. Both of eclipses this summer will bring you wonders. In many months to come you will get recognition for things you have done. You may get a job, or even a raise, and ambition will be your number one priority. Your sense of confidence will be high, you will recognize that your own experiences and expression have a hold on you. It may be that you move or you are setting a house for yourself or someone else. Your main focus may be on things that are closest to you. The key terms for the next 6 to 8 months are clarity, reputation, move, work, children, home, promotion, respect, and animals. Virgo: This is defiantly your year; good or bad it had to come. You went through a deep transformation in 2009-2010 and now it is time to restructure life. Relationships will be your greatest concern. Matters of the heart and reputation will create who you are and where you are going. Along with marriage and relationship matters you may be highly focused on money, schooling and anything that gives you more power with financial and material stability and gains. Remember, the first eclipse in your sign in September will be paving the way to whom you are and where you are going until 2016. So hang on, you are in for a bumpy ride. The key terms for you from now until September are legally tied down, success, reputation, profits, gain power, shares, security, focus, and education. With all this whipping around between love and money you may be talking a lot, therefore be very careful with your nose, teeth and chin. Sagittarius: I wish I could say things may become marvelous within 6 to 8 months, however, you may be taken by a lot of surprises in the last 3 to 4 months with more to come. Looking forward, your focus may be looking at where you want to live and where you want to plant your seeds. Understanding why these things are necessary is primary. Perhaps you may want to work from home and you are now getting your hands dirty to find out what has been wrong for so long. Even though Saturn has not been so gracious to you, your dreams will be. Your vision, work and dreams may become so real that you may decide that you would like to do charitable work or spend time with your friends and those who share the same vision as you because you have been imprisoned for so long (Read about it here). Your focus and key situation in your life may revolve around secret life, private affairs, friends, society, ambitions, home, schooling, and wish fulfillment. But don’t get too happy because you know you get clumsy that way. Watch your ankles because you know high heels may not suit you or dress shoes may become loose and you may have some ankle problems. Fixed signs (Scorpio, Taurus, Leo, and Aquarius), you have gone through your high highs and your low lows with nothing in between. Some of you may decide to get married while others may be focused on their work. But no matter what, this is a relief from last year. Saturn has switched signs to Sagittarius (read about it here) but it will come back into Scorpio for one last time this summer (read about it here) so watch out and stay grounded. And because of Saturn will begin with Scorpio. Scorpio: Your own transformation allowed you to keep in check with your emotions. This has taught you a lot; that some has to be suppressed and some has to be let go. But most of all, your focus may have been to those who rely upon you. Now you are ready to take self-accountability. This means to look at what you need to do to make your dreams real and manifest the type of life you want to live, what sacrifices will you make, or how much abuse will you take for the sake of sacrifices? And when things happen to you that you are not happy about, don’t bend out of shape and think or react negative as most likely this is how you have always reacted. 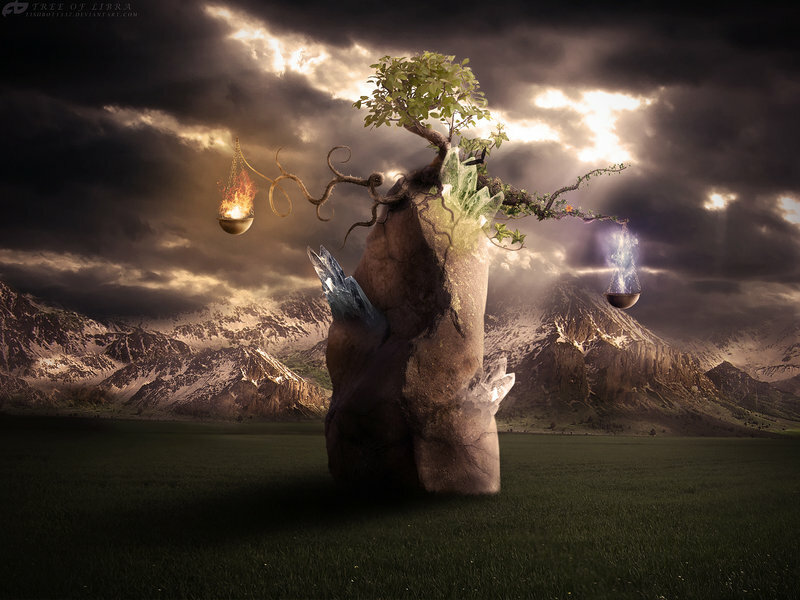 The key elements for the next 6-8 months are games (not mental), sports, entertainment, regions inclination, higher learning, spiritual practices, financial restraints, extravagance, expenses, sorrow, hidden enemies, insults, and success through witchcraft or new age. Try to sleep on your left side as much as possible otherwise you may have issues on the left side of your face i.e. eye, ear, cheek. Also be careful that you don’t hurt your feet when you are in a hurry. Aquarius: For the next 6-8 months your occupation of money and learning will be the forefront of your disposition. You may decide you want to go to a religious retreat or somewhere to detox or purify because you are looking for the ultimate truth in ideas and philosophies as this is where you belong. On the other hand you may want to be extremely successful so that you can have the finer things in life. You are now looking at how to do this. You may want the extreme financial success but you also want spirituality. Don’t confuse yourself; spirituality and materialism do not go together. The key transformational changes will be focused on material changes for the better, power, vision, education, profits, religious disposition, meditation, learning, teaching, travel, faith, and success. With all the confusion going on between spiritual and material needs be careful not to work out or walk up and down the stairs too much as your knees may have issues. Also, you may have some family issues and possibly come down with a cold or even find out you have cavities and need dental work. Taurus: You have been going through eclipses one after the other and you may have a little longer to go. It’s time to make your wishes come true by working hard to make everything a reality. You will be having lots of fun with your friends; you may even decide to do some charity work because you may see that through all differences compassion is real. But having fun and working hard does not mean that it’s healthy for you. Get focused on your health and work. Nutrition will give you energy to keep working hard and make decisions of what has to go. The key element you may be concerned with is employees, your health, sickness, debts, stress, jealousy, hidden enemies, friends, financial gains, wealth, and recovery. Be careful running around while not knowing which way to go may cause you some problems with your ankles – OUUUCH. Leo: Don’t worry my friend, your graceful Jupiter was going backwards in time but as of April it will be moving forward. Enjoy the gifts it gives to you until it moves into Virgo in August. Some Leos are getting married, some are moving to their ideal home, some are graduating, some are having babies; isn’t Jupiter grand? Not only will you be doing spring cleaning physically, but you may be spring cleaning mentally – getting rid of people that have no purpose in your life. Truth and objectivity will reveal themselves as you strip away who you are and become who you need to be. Rediscovering yourself will not be simple however, your mind will drift away into exploring limits to your life. Working, traveling and questioning your life is how you will find who you are. The key concepts for the next 6 months for you dear Leo, are communication, media, travel, siblings, environment, money, taxes, debt, and other people’s money. Again, please note that these are general tendencies. 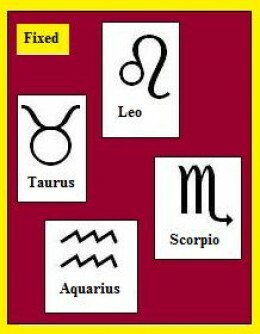 Each individual has their own constructive astrological chart. This is not astrology; the tendencies are from the teachings of Vedic reading and through color and intuition I am able to bring to you a perspective for you to consider. If you wish to have an astrological reading you may schedule an appointment with my recommended astrologers Leslie Hale, Xtrologyof Hollywood, and Lee Stillwater. Enjoy this month as much as possible because at the beginning of May the trickster that likes to slow things down and bring crazies from the past is coming for a visit. This is when Gemini’s will be tearing out their hair, as will Taurus’. So for now, consent the durable hindrances of the earlier months to fall away. I strongly advise taking your aspirations that you have made last month and cross them out one by one. Remember, never beg for your aspirations. Since, moon in Libra represents Sociable, Attractive, and Relaxed, Neutral, and dedicated it is my suggestion for us to stay stable. This full moon is amazing to many signs. It is my suggestion that a yellow candle with your name carved will bring the positive energy that will emphasize this full moon. Anoint the candle with lavender oil or peppermint oil and chant Psalm 26. You may also choose to recite a mantra every morning until the next eclipse in September. I will be offering 6 month personal, in-depth readings starting on the 4th April and accepting appointments as early as March 30, 2015 for readings April 04 through April 18, 2015 . These readings will be covering areas of life that may not have been affected upon by an Astrologer. I provide you choices and astrologers provide the passage. Together the messages unite the course of your life which is impeccably spiritual. This is a relationship driven eclipse, I suggest those who had a self reading done in March to have a updated reading done this month and I welcome relationship readings at this time. Furthermore, as a reminder, I am not an Astrologer, nor privilege to be, and the circumstances of this material is entirely all-purpose so that you can get a simple view of what you can anticipate. Vedic reading embraces a straightforward belief of how we live in the physical world and how we can change our destiny which is inscribed in pencil, never a pen. Vedic reading also grips the concept that for every single deed there is feedback. Until we know what acts are successful we have no idea how to react to them when it happens. Vedic readings determine the engagement so that your movements or responses can be sensitive and sustainable rather than over-reactive and insurmountable. Wishing a safe journey through the passage of the lunar eclipse. Have a wonderful summer and know that every change as a reason and every reason has a season. Follow me and like my blog and you will be automatically be notified of new blogs which I post. Spectacular! Even though many could consider it an omen, or fearing the worst, whenever a major lunar eclipse casts shadows in our skies, unlike any other eclipse this will be the most beautiful site to see. This is the first total lunar eclipse in almost 2 ½ years and even better, for the first time in a very long time it will be viewed by the entire North and South Americas. I call this “our” special eclipse. This eclipse will last for 78 to 80 minutes and it will naturally run its course from the pacific to eastern boarders of the United States. This beautiful eclipse, which begins its transformation on the 14th of April at 12:46 Am PST, will continue to move into phases until a Total eclipse is formed. A total Eclipse usually occurs when the moon completely blocks the sun and it’s parallel to the earth shadow. The dark shadow covers the sun and the moon. However, the spectacular thing about this eclipse is that it will be visible to almost everyone including Australia, the Pacific and the Americas. How beautiful can it be? For astronomy, this is probably one the of the most beautiful sites next to shooting stars, new comet’s ,or stars being developed, but to the human eye this is also graceful to watch. Although every experience is unique and often we compare one to another, we can use our own familiarity to compare what it could be like. Degree wise the last eclipse in Libra was very close to the one we felt October 14, 2004. This eclipse is at 25 degrees in Libra give or take the position of the orb while the one in October, 2004 was at 21 degrees depending also on its position. The full moon in Libra will begin this eclipse at 12:42 am PST, 3:42 am EST and directly afterwards will become the total lunar eclipse. Therefore, the name given to the first moon in April fits perfectly as a pink moon. Love, change, balance, and equality; is it all or nothing? This is yet to be determined as things following this eclipse will set the stage to magnificent changes. According to the farmer’s almanac the first full moon in April is usually referred to as a Pink moon, or the Grass Moon. Often the reference of the Pink moon is due to the color of moss that covers the trees and grass against the shadow of the moon light. Additionally, the Green moon gives the encouraging nourishment to bring dull grass from the dreadful winter to green. Since the eclipse is paired with the moon, there must be a very straight line between beliefs and understanding. Depending upon what ones world view is in the western culture, eclipses always bring chaos and sometimes this chaos can be difficult but it does not have to be bad. We must keep in mind that this is a lunar eclipse (in the darkness) and wherever the lunar eclipse falls in a specific chart it affects the opposite houses. In natural terms, it will be the secondary area which will affect the crisis the most. In October, 2004 we had a Solar Eclipse in Libra and shortly after we had lunar eclipse in Taurus. As you will see, it will be a similar situation 10 years later however, the eclipses are reverse. Which means that this time it is a lunar eclipse in Libra and a solar in Taurus. Why is this so? And why does history repeat itself? Oftentimes it has been discussed by ancient astronomers that if history does not repeat we cannot change the path we live. For example, if we learn to ride a bike and we fall down, years later we try to ride the same bike and we fall down we can either feel the pain worse or brush it off because we know that pain (experience) is not so bad or it is tolerable. This is the same in life. And how we handle people and things in our lives, some of us could feel this already. Therefore, it is always tested forwards and backwards to make sure every lesson is learned at great length in order not to have it repeated. This is re-consideration, or a test, of the last eclipse. Therefore, those people that are born 5 days before or after the following dates will feel this eclipse more than others. Remember to look back at what happened around April/ May, 2006 which is about to happen again. So whatever is felt will last until the Spring of 3 years from now. 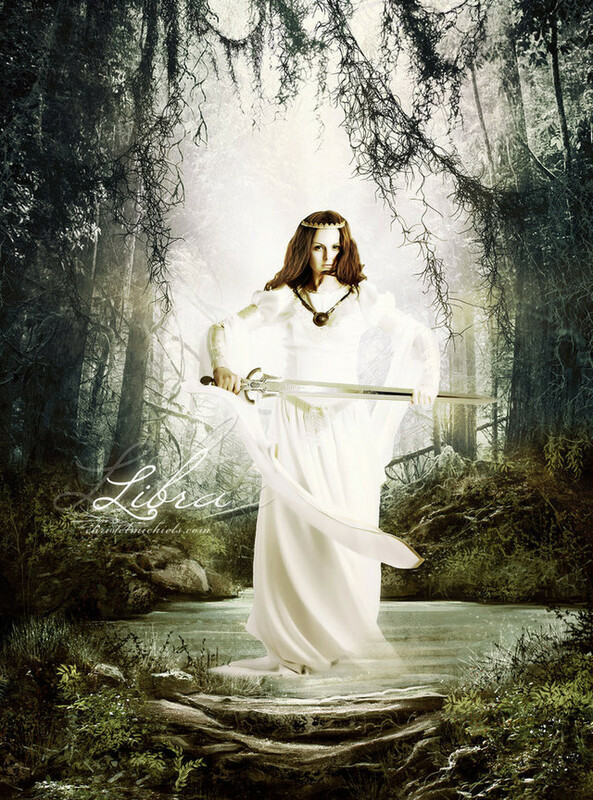 The intensity of this eclipse is guaranteed to make changes for all those that have Libra and Cardinal signs in their chart, especially those that are born on 10th of any month which means 5 days before and after so from 5-15 of any month. Additionally, those that are born on the 24th to the 29th of the month will be affected. To sum this down even further, birthdays Jan 9-13, Feb 9-13 & 23-26, March 9-13, April 9-15, May 9-15 & 24-31, June 9-15, 27, August 9-15 & 23-28, September 9-15 & 23-28, October 9-15, November 9-15 and 21-28 and lastly December 9-15. Many of you will own your own actions by the fall of this year. Again, this does not have to be bad, it can be the most wonderful experience and you pay it forwards. When the moon is full it usually indicates growth, emotions, and our hearts and memories as we plant the seeds of our emotions by confronting our deepest ones. In 2012 the new moon started something new and we worked at it for 2 years and now here we are where the celestial energy is basically letting us know that we have learned our lessons and its time move forwards to the next stage of our lives. 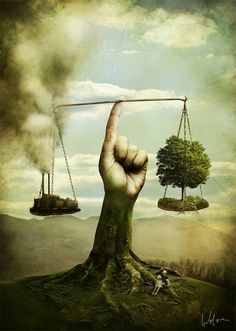 Libra moon awakens our balance as Aries charges us with energy to create a better future for us. Saturn is still in Scorpio however, moving backwards in time, which asks us important lessons: what have we learned from all that we have had, worked, and been? Giving us even deeper questions of what do we know about ourselves and how we handle our relationships with others. The idea of this full moon is to question what was created on the new moon on March 30, 2014. Was it deep, creative or was it so reckless and dangerous that it needed to happen? Both Aries and Libra, being Cardinal signs, have very unique personalities. 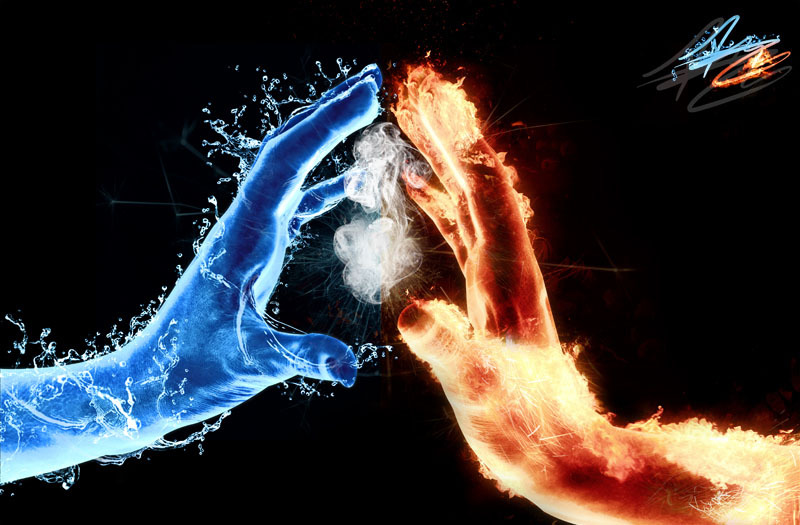 Aries works with fire and robust Libra uses sweetness and negotiation as passage way to collaboration. They are, however, both determined, no matter how wrong they are they will get their way. 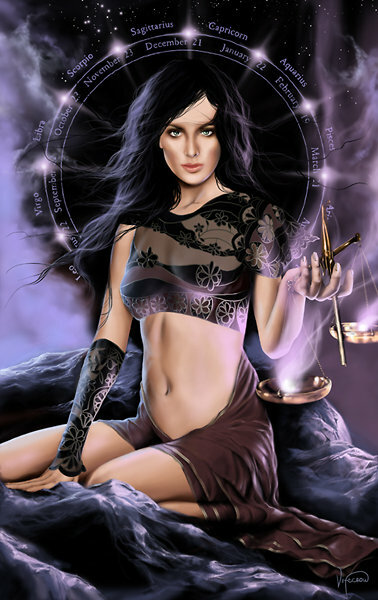 Libra looks at and analyzes everything, looking at all possibilities both good and bad. Aries, on the other hand, just risks everything. There is too much for them to think about in their actions until they wonder why they even have to choose. Just a few days before the eclipse Pluto, the planet of the underworld and ruler of Scorpio, is one of the most powerful planets and will be retrograding also until September. Hopefully tempers will not rise and with it joining Saturn in Scorpio, perhaps hard lessons will also be eased. The lucky Sweet Jupiter will be there for us to bring us joy. 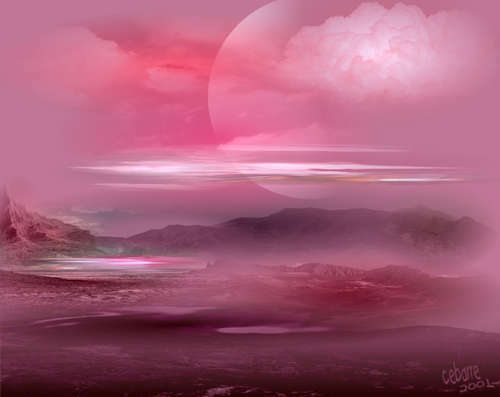 The pink moon or rather, a full moon in Libra, wants all of us to be in harmony and wait for the right moment to make any decision. It is highly important right now to connect with your relationships including family, friends, and even partners. 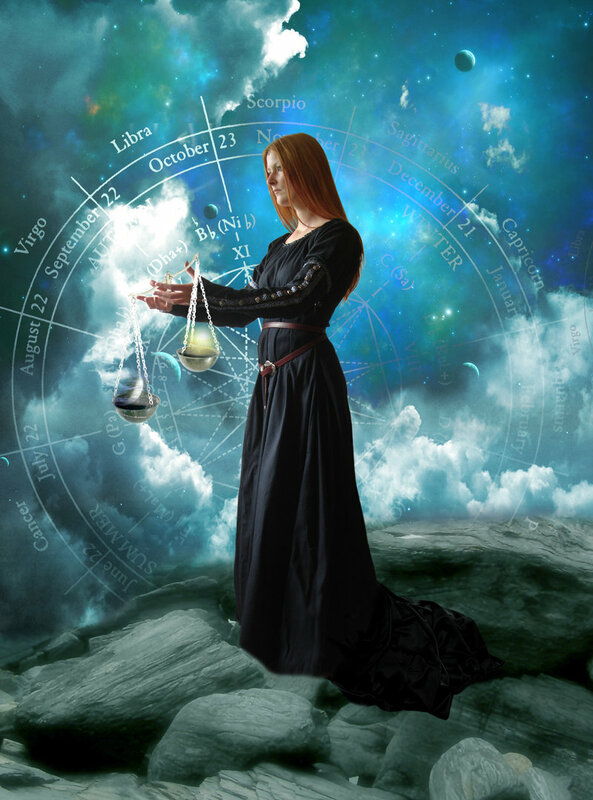 The most beneficial part is if your occupation is a lawyer, psychologist, criminologist, sociologist, and you have Libra anywhere in your chart, your career may soar as you bring the energy to light to build, and discover things. 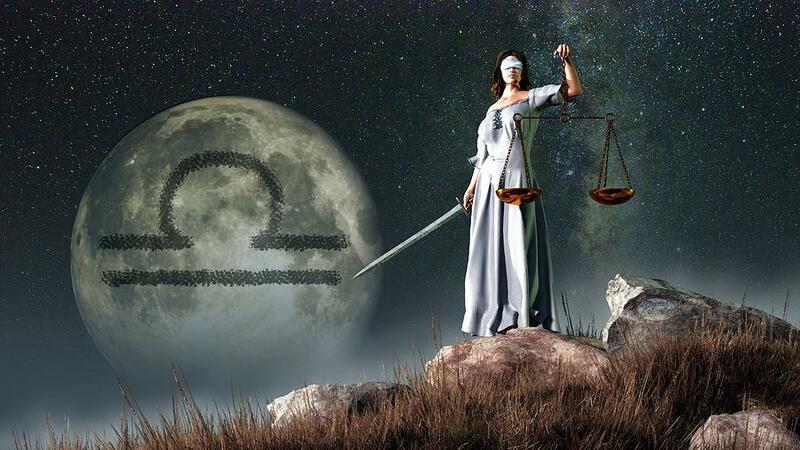 Full moon in Libra always brings fairness with co-workers but be ready to face constructive criticism also. As peaceful as this full moon is this just the energy’s way of asking all cardinal signs including Libra, Cancer, and Aries what have you done since 2012. Many of you must remember all the eclipses that rocked our world it all began in 2012. So many astrologers have written about the cardinal crosses that in the western world it seems so bleak and so scary, but in the Vedic world it is reformation. If you run, what are you running from and where will you go? So for now until 20th of April let’s leave the worries of the Cardinal Cross behind and focus on the present and on today. 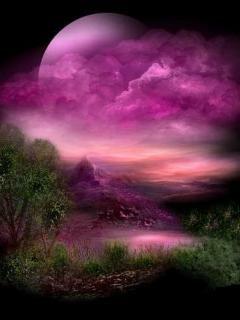 This beautiful pink moon brings us light and love but it could also bring endings to toxic relationships. Libra Moon values harmonious relationships. It behaves in a way to make sure that he/or she is loved and the love is kept. It’s a need to please the people you feel close to, and want to be nurtured with kindness, a charming manner, and with music and beautiful things. Libra Moon needs close friendship, partnership or marriage to feel nurtured and safe. You may have need for peace, harmony and pleasant surroundings. In emotional situations, the Libra Moon tends to act very rationally and strives to make fair decisions. Hating a fight, she may even finesse her way out of confrontation. People will have strong sensitivity to, and attraction for, others. This comes from the Libran search for harmony and balance, for the Libra nature accentuates teamwork. It’s a good time to form partnerships of all natures—friendships, marriages, and business. Even though this moon is placed to bring blessings to relationships and any difficulties, the sun in Aries will bring separation in everyone. It’s an echo of one in other people’s lives and how we, and others, foster it. Whatever is good will be blessed and whatever is bad will have its punishment. Being the best you can be will be the ideal way to go. Concentrating on the needs of others will defiantly bring brownie points during this full moon emphasis. This eclipse and the moon energy is so strong that many people will feel this pull as early as around the 2nd or 3rd of April while others may already be feeling it. Therefore, bring diverse diplomacy in your relationships. Find a way to be independent yet supportive. However, there may be some pressure between our time alone to introspect and others time wanting to be with us. Take your time and if others don’t respect it, then this is the catalyst to see if the relationship is really worth the respect and honor. But at the same time, making decisions to end a relationship, or harsh behavior, will not be the way to go unless this is what the best conclusion is. If it is, it will NEVER come back at the same compassion it was when it began because the eclipse gives that much energy and initiative to never go back again. Eclipse and full moon together is natural energy to end things. Often, Libra moon and the eclipse open our eyes to look at things so clearly that it answers the question that we cannot carry other people’s burdens as they are too heavy. This moon and the eclipse questions what is ours, what is theirs, what is ours not to fix, and what belongs to others. It also questions individuality with support not to fix people or things. The pressure may be so much that finally those important things that should have been said will be said, and sometimes, honesty hurts but it needs to be done to let go with grace. It’s best to look at self-accountability, self-reflection, how our actions hurt others, and to question why bad things happen to us? Perhaps we are so easy to judge others yet we can’t avoid looking at ourselves. When we do we accept our karma, but when we don’t chaos always happens. Libra moon, along with the eclipse, is this reflection and eye opener. Don’t over evaluate as emotions may get the best of us – be sensible. Due to the volcanoes within our reactions control issues may not allow balance to be restored as it should. Therefore watching what you say to avoid heated arguments may come through alliance rather than silence or arguments. 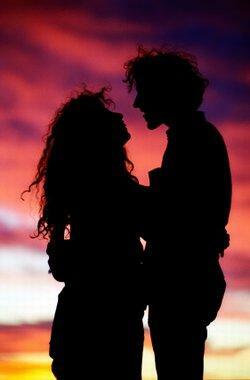 Discuss needs and find the sacrifices which are needed to alter your own identity so that relationship can be honored. The full moon brings with it energy to plant and harvest. With the moon in Libra, there is a need to have a satisfying relationship with a loving partner in order to feel at concord spiritually. There is an urge to repeatedly assess feelings, seeking just the right equilibrium with others. There is also a sparkle for grandeur and fine arts which can be expressed in a significant way. Fostering others by treating them equitably and seeing their stunning potentials is the theme for this full moon. There also could be a look toward the idealism of mother or a motherly figure to be the model of radiance, gentleness, allure and fairness. As interesting as it can be when there is a full moon in Libra with Aries energy, it can be complimentary towards one effort which is to supplement each other’s goals and desires, however, tempers can rise if there is a misunderstanding in shared resources. There is a greater chance of being bold, passionate, and very adventurous. 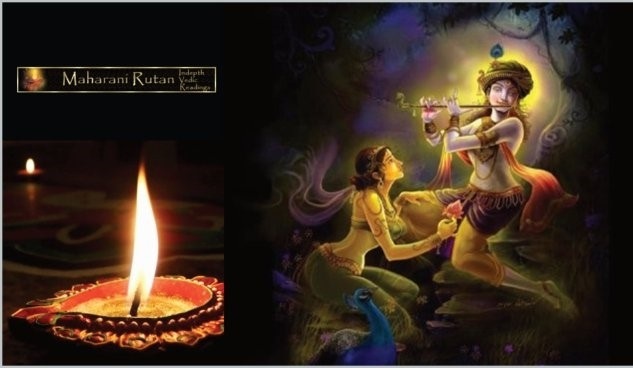 Poonam, as they call it in Hindu scriptures and languages, is usually relationship linked, therefore people who are born on a full moon, and it does not matter what sign you are, will experience a higher impact than anyone else. Often, when paired with eclipses, it brings out repressed emotions which are often activated with the energy that it holds. Cardinal signs are naturally sensitive to their surroundings. However, no matter what sign one is born under, this is something that has been brewing for so long that it could go both ways – either you finally tell someone how you really feel and it starts a romance of a lifetime or a sudden break up or argument comes from nowhere, bringing out things that were never discussed. Therefore, 5 days before and 5 days after the eclipse is as crucial as the day of the full moon, thus if there is nothing nice to say then don’t say it at all. Otherwise, like the old saying goes, “you can never take back your words and apologies can bring forgiveness but never forgetfulness”. Vedic readings have always incorporated astrology, perception, action, and reaction as an intertwining methodology to clarity and by all means what I am about to give to you is not a perfect science nor should be it considered as such. This generalization is at its face value, where the eclipse and the full moon bring forth changes, but to have your own individual reading I would really recommend that you speak to an astrologer and see what it holds for you. 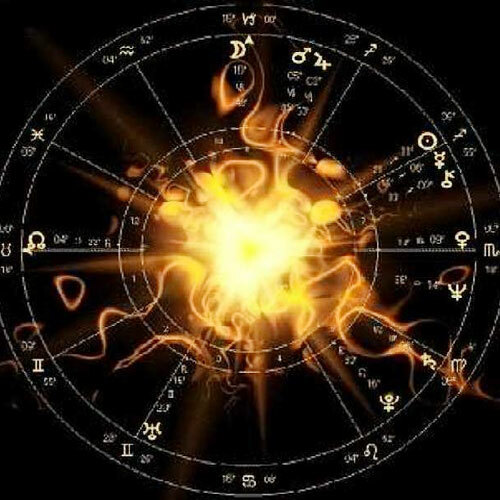 I am not an astrologer nor claim to be – I don’t have the analytical prospect to pursue it; the information is a mere generalization as a precaution so that this transition becomes as simple and transitional as possible. Remember to really analyze where these astrological signs fall in your chart before maximizing or minimizing what could occur. What is given to you is for warning and remedies to avoid chaos and bring peace during this difficult transit. Aries & Taurus: With your enterprising techniques you always seem to get things done, but please be very cautious of your words, especially to your loved ones. If you have once thought about marriage this is the time to discuss the outcome or make that commitment which you know is right to do. However, there could be intense hidden pressure and it may be advisable to be cooperative and collaborative to save the relationship. If you don’t, the words could cause many relationships to sever. Additionally, legal issues, if any, may not go in your favor because you did too much or said too much hastily. Cancer: Your heart is always in the right place and your home is where you always find comfort. But do you remember 2009? This lunar eclipse is as pivotal to you as it will be every Cardinal sign. Your number one priority is your home: whom you will live with, where you want to live, and who you want to have in your life as a family member. Whether you decide to sever the ties with a family member or reconnect, your home is where your heart will remain. This eclipse will surely shake it up or bless it but it all depends upon how much it means to you. Leo: My sweet Leo’s, oh I love you all so much. Everything always happens to you, but why? Well probably because you did not take care of something well enough. Or is it that you did not make yourself clear? Whatever the case, maybe it will affect everything you count on to function. If it is a car that gets you to and from work which you did not get fixed or that computer you need to go to school, I guess being reckless and procrastinating did not help. But then again, sometimes you just want everyone to be at peace but to what point? So it’s a little bit of a bumpy ride but don’t say I didn’t say so. Virgo: My sweet, kind, loving Virgo’s, if I did not love them so much I would not have married one. But you do have some habits – you aim to please. However, sometimes we can’t buy what we want and when we want it. This eclipse will make you realize what you want and I don’t mean love. Remember, the Macy sale can wait … or can it? This eclipse will get you very busy thinking about how you will make your money, how you will spend your money, and what you want in the future. If you want a big house with a white picket fence don’t you think that you might have to conserve just a little? Can sales wait for your dream? There is a song for your call money, money, money. Libra: This is your eclipse as you have been through so many things, but your heart has always been in the right place. This eclipse is all about you. Who are you? What in the world are you wearing? Are you tired of listening to others or are you ready to be who you want to be and to what lengths will you go to get there? You are always self-aware of your actions but are you always accountable? If you decide to change your hair or your style just to be in the mode of changing – try to stay away from psychedelic colors will you? And I don’t think Flare pants are your style anyway. Get ready for great changes, stand up for yourself and be exactly who you want to be. Remember the old saying: you can please some people some of the time but not all the people all of the time. Scorpio: Oh how I love thee, let me count the ways. Oh wait am I talking to myself? Remember dear Scorpio you are exactly who you are but are you ready? I mean really think about it. As a natural ability, you know your spirituality but why are you so afraid of being alone? You don’t need to be. Go away to a retreat; hide in your own world and sometimes its ok to be lonely, but you are doing it to yourself you know. When you disconnect yourself from people, you find your own natural talents of creativity and expression – you are breaking through everything that is destined for you. But to be more in touch with the higher spirit, remember that the higher power always talks to you in silence. 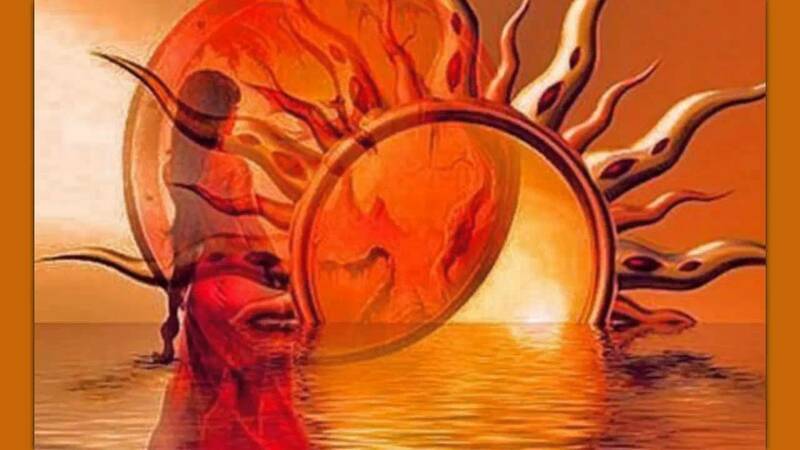 Most likely, during the eclipse, you can’t be any more spiritual than you are and many people will need you because you will help this eclipse as the connection with you and the spiritual world will become so intense that it may overwhelm you. Don’t get scared, it is not to be used to just run away but it should be used to be more Devine. 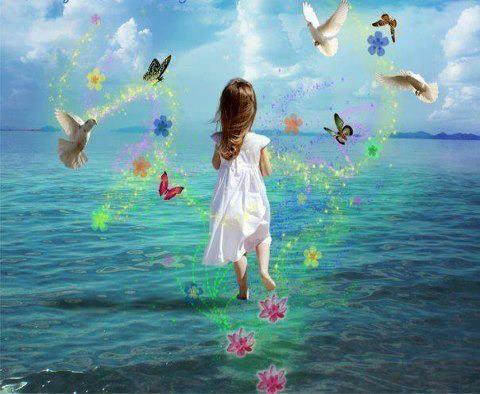 You are given permission to be alone and more than that, you will love your connection with the higher power. But please don’t become a yogi (nun) just yet unless you really want to. Sagittarius: You do realize that you love people and you love to get out and do things. You are awesome listeners and sometimes you are emotional sponges because you always want to make people happy and not to disappoint anyone, don’t you? But you also realize that sometimes you take on things that are not yours to have, hold, or fix, and when you can’t it’s so hard for you – truth always sets you free, doesn’t it? I believe your list of friends is about quality not really quantity though you like quantity too but too much of that takes all your energy and de-bunks you. Many of you Saggys have taught me a word and if it was not for you I don’t what I would do but as I always say we must practice what we preach. Don’t you hate it when people judge you? So do you remember someone saying to you that you are the company you keep? Your reputation relies on the friendships you keep and your grace happens with you when you always do the honorable thing. And remember that word I said? With others “whatever”! Say it over and over and over again. Capricorn: You are such a straight shooter. Sometimes you can be a little stubborn but you mean well in your heart. But as I said, all Cardinal signs, including yourself, may go through some changes that may make you see life from a whole new prospective. But you do have a habit of worrying way too much at times and your entire life depends on who you are in the world. The eclipse always makes changes. Sometimes when things don’t work, and we keep working at it anyways even though we know it’s not going to work, we have to try harder and we can’t keep holding on to junk. If your character and how you are viewed by others is important to you, remember that because of this eclipse, depending upon who or what it was meant to do, will highly depend on your identity. I wish I could go into further explanation but it seems the changes you make are often hidden. My best advice is that if it was humble and the only role you played in it was to volunteer your service then it will be recognized. If, however, there was any kind of selfishness or self-reasoning for fame or recognition I can’t tell you how it will go. Perhaps it may go exactly as you planned, perhaps not, only because this eclipse will change its course one way or the other. Aquarius: And to this day I still can’t figure you out. I do know you need to be in the public eye, you are very resolute, and often keep to yourself – but when you have something to say, my goodness you say it. My only concern is you often live in a world of your own and you are happy with that world which is fine but you can’t make a home out of Lego’s and not expect it to fall down. But this eclipse forces you to take risks again. It also asks you very important questions: Have you learned all you wanted to learn? Do you know where you are going? Do you know what you are following? Do want to be more God like if so then are you practicing God like ways? You know that you don’t like being in one place for too long and its ok to run off to China to practice Buddhism but can you make it a round trip ticket because you might not come back and I might have to hunt you down? Pisces: You are so spiritual at heart. You know that it has been said God had the same birth sign as you. Another advantage is that everyone, and I mean everyone, has Pisces somewhere in there charts but you’re the closest to spirituality. Oh, and your psychic antennas are quite right (ok most of the time) nooo… all the time. So this eclipse you will question why you were born, where you were born, perhaps even the reason why you were born but the problem is Karma – it’s time to pay the fiddler. I don’t mean it in a spiritual way; I mean it in the materialistic world. It’s time to pay the debts off. There may be intense pressure of debts to be repaid or you may find out that you owed a debt you never paid off and you have very little time to do it. Or perhaps you will feel that the other people’s money is not coming to you fast enough. Look at this again, have we been there before? I believe a couple of eclipses ago the same issues arose and I hope you had a chance to work that out then so that you don’t have to do it again. But, if you had not done so, it’s here again for you to pay the Karma and be spiritual and humble while doing so. The interpretation which I have elaborated previously is a generalization though each experience, each chart, and each perception is individual in nature; the energy does apply in many senses. Vedic readers are NOT astrologers and we do not claim to be astrologers. We are the messengers to avoid trouble. Almost like one client called it a “GPS” but unlike a GPS, we can tell you about traffic and we can tell you what will happen if you go into it. We can also tell you why the traffic occurred, but we cannot enable you. Eclipses are favored by Vedic Readers, not so much Vedic Astrologers, and perhaps not even Western astrologers depending upon their convictions. Vedic readers consider them as an open window or an opportunity to consider, contemplate, reflect, getting rid of clutter, and being in touch with the higher self by connecting with our consciousness and the actions which cause others reaction. We have a full moon every month and during this time the universal energy calls upon us to look at our oppositions. This is especially when Aries and Libra moons ask many questions of us. Aries always calls into action to make something happen even if it is not the right thing to do but do something. 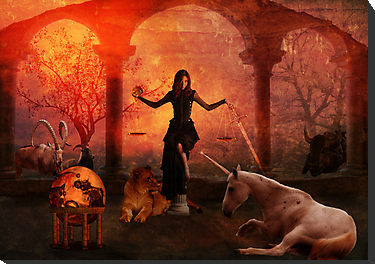 On the other side, Libra asks us to spend time by ourselves and we find solace in animals and things of beauty. But Libra moon wants justice and bravery to bring forth freedom, creativity, and living in the moment. 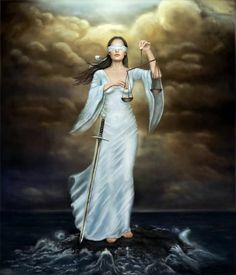 Moreover, Libra tests every relationship; questioning its solidarity, denials, repression, aggression, and conflicts while analyzing safety and peace. All Cardinal signs will be affected, not only by this moon, but by the eclipse; it is judgment day. 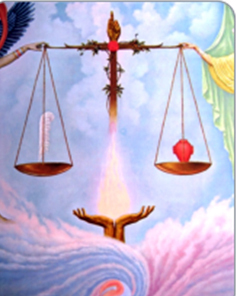 This day asks, is the heart, the soul, or is the truth the balance? Things that were once ignored can no longer be ignored. The passion that forces an action, many issues will occur not by force but by nature, brings new experiences which are greatly needed. Whether finally letting go of something or someone that has been a heavy monkey on a shoulder, or a fresh new look to a relationship, for sure this new moon and eclipse will be wake-up processes and reckoning. But not all eclipses or full moons, as I explained, have to be bad, they can also be time for miracles, awakenings, flexibility and a new perception. The energy will be right to not let conflict bring us down but to allow many of us to take the time to listen and to be heard. It allows many different viewpoints and different interpretations to be able to make choices that are best for us. This eclipse is very much relationship oriented. Many relationships can break or be restructured. During the lunar eclipse, and the full moon, it is always encouraged to let Goddess Luxmi or any spiritual energy enter your home with your arms wide open. To do this, clean your home of clutter and create and ambience of pure scents of incense and candles. Lighten your altar, and your work space, with stones such as jade, amethyst, and most of all, Aventurine if you can find them at your nearest new age store. You don’t need much, just a small amount. 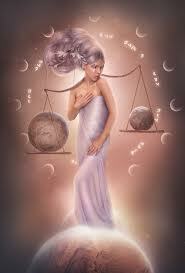 The Libra full moon represents energy that is beautiful, cordial, comfortable, impartial and devoted. 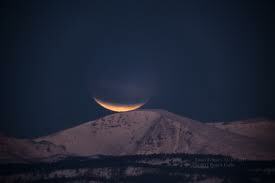 However, the lunar eclipse fosters change, endings, and conflicts. Therefore I suggest that three candles be purchased for this eclipse. Libra moon: Yellow candle. Carve your name under the wick with a pen or a pencil or purchase a candle in a glass and write your name on a piece of paper and tape it to the bottom of the holder. Make sure you anoint the candle with lavender oil if it is a single solid candle or place a couple of drops around the base of the candle and place the candle in a dish so that it does not crack and recite psalm 26 every morning until October 15, 2014 when the moon enters Taurus. However, since this is an eclipse in Libra, I encourage that if time allows, continue this mantra and psalm for 6 months forwards. This mantra produces the quality of friendship within oneself, including others. Many people have asked the question how often they should have a reading done by a psychic or a tarot reader. In my opinion, an in-depth reading should be done every moon cycle or when it is affecting you astrologically. Additionally, relationship readings should be limited to once a month so that anxiety and urgency does not become the emanate energy instead of patience and faith. Every moon cycle represents a change; it not only affects our external forces but our internal forces as well. Of course, we all have burning questions every now and then and it may be necessary to have a reading done more often, but sometimes we have to let the universe take its course. However, poonam (full moon) is energized by Cancerians therefore; we must respect the energy that it brings to us. Full moons can be very nurturing, emotional, sensitive, and it is my suggestion that you purchase a pink candle either in a glass or a solid carve your name and anoint with also lavender oil or inspirational oil and chant psalm 70 until the next moon cycle which is April 27, 2014. Om, and salutation to the creative abundance that is the very form of the universe. 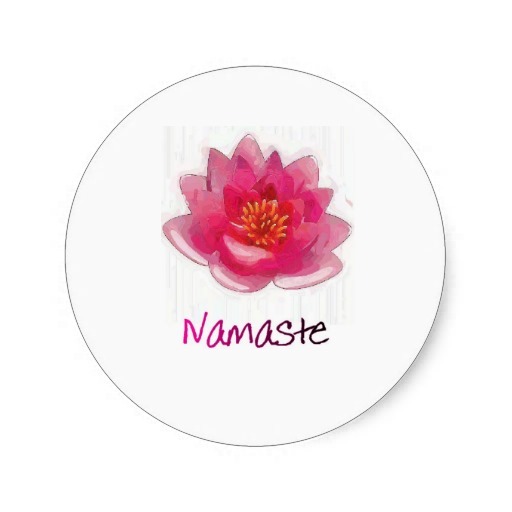 This Mantra opens the universal forces in your life and allows the righteous changes to occur. With every moon cycle, remember to cross out the old affirmation even if there is a slightest change and create new ones. The perfect number for aspiration is 10. This means to list 10 aspirations and recite them every night until the next moon cycle. Remember; never make the affirmations beginning with “I feel the resolute. I protect, save, nourish, assimilate all of the life’s emotions, have a desire to connect to the source of subconscious, and be reserved, quiet, and love without conditions. This is mantra is a dispeller of difficulties and will assist in making a full transition through the next 6 months for cardinal signs. Please note again, I am not an astrologer and do not claim to be an astrologer. 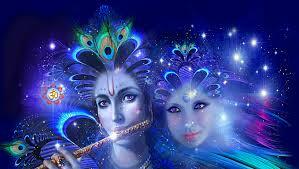 Vedic reading incorporates astrology, numerology, and Sanskrit divination as a path to direction. I will be offering 6 month in-depth readings for all those that have cardinal signs in their chart, including relationship readings, at a reduced price starting April 15, 2014. Please note that due to the Cardinal Grand Cross, I am recommending updates at the end of the month. If you do not have cardinal signs in your chart, it is advisable to wait until the second eclipse on April 28 to get the most accurate reading possible. Two readings are only encouraged for cardinal signs or those that are involved with cardinal people. If you also had a reading done less than 3.5 weeks ago, I also recommend for you to wait because it could end up to be very negative or redundant. Wishing you the best of journey on this wonderful full moon and the total lunar eclipse. Take lots of pictures and remember, this does not happen but once in a great while.